What are letters? They have meaning, and can be combined to form words like these (and cooler ones like "kerfuffle" and "cantankerous"). They also take up space—they have shapes that can mean something else. 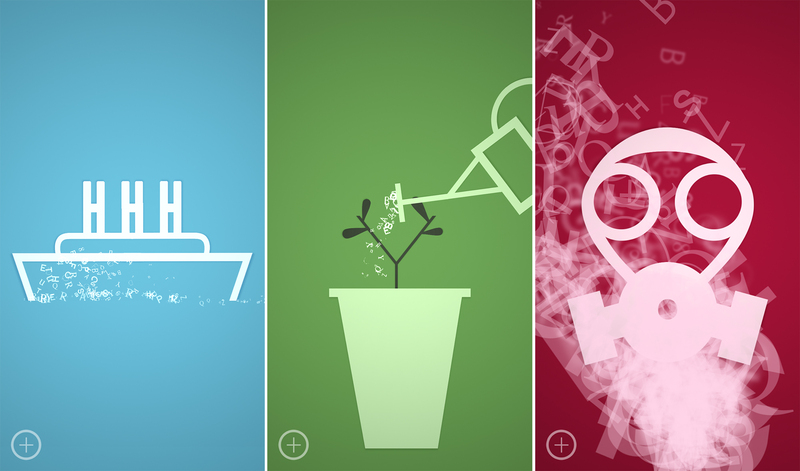 unWorded is a new puzzle game that uses letters not to form words, but objects. It's pretty clever. The game has a serious theme; you're trying to uncover the story of a writer hospitalized after a serious accident. Each puzzle presents you with several letters of various shapes and sizes. You simply drag them around to make a thing. What sort of thing? You have to figure that out from the text description provided. The placement doesn't have to be exact. As long as you're close, the game will realign the shape and continue with the animated story. unWorded costs $3.99 and there are no in-app purchases. No, not even those paid hints that seem so popular in puzzle games lately. You can tap the hint button in the lower right corner at any time to see which letters are in the right place. It also highlights important words in the description to help you figure out what you're supposed to be making.